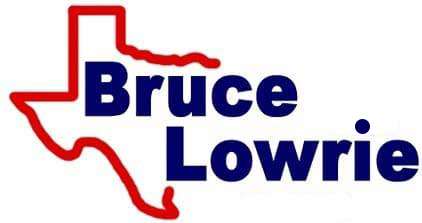 Bruce Lowrie Chevrolet's service department offers the professional automotive care that you're looking, and since we're proud to serve all drivers in the area, we're certified to work on a range of vehicle brands. Contact our new and used dealership in Fort Worth, Texas no matter what you currently drive; we'll complete the work with genuine car parts and get you back on the road! So make your way over from nearby Arlington, Texas to have work completed by our certified technicians. If you're interested in completing services yourself, don't hesitate to get in touch with our parts center so that you can snag all the genuine GM products you need! Why Visit Our Chevy Dealer For Auto Care? And we complete all vehicle service requests in a timely manner. Ensure your car's lifespan is protected while keeping your ride up to its factory specifications, visit our Chevy dealer near Burleson, TX for your vehicle maintenance needs! Needs, so drop by with your used Chevrolet Traverse today. If you've recently been involved in a collision, contact us to inquire about our dealership's repair services! Those in nearby Arlington, Texas are encouraged to use our interactive website to request an auto service appointment with ease. Complete your online booking today and don't hesitate to contact us should any questions arise. Don't forget, you can always drop by our new and used Chevrolet dealership in Fort Worth at any time during our business hours if you'd like to speak with one of our friendly technicians about the work your Chevy Camaro is in need of.